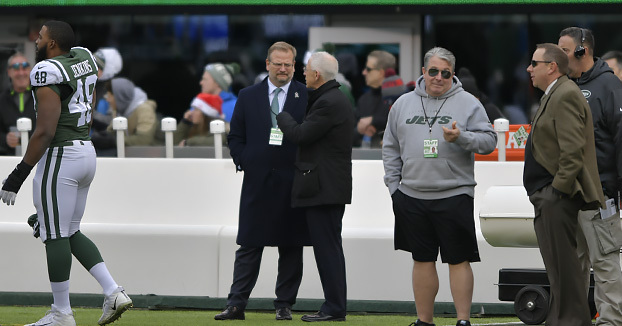 New York Jets Confidential – NFL Football » Jets owner should avoid this and I think he will . . . The Jets should never do this again. What I’m talking about is signing or drafting players with the box office in mind. This seemed to happened in the past, with moves like trading for players like Brett Favre and Tim Tebow, or re-signing Darrelle Revis in 2015. Personnel moves and commerce should not mix. If you make the right personnel moves, and this leads to wins, the box office will benefit. I get the sense that Jets owner Christopher Johnson understands that making big splash moves, with marketing in mind, is a mistake. “I don’t think you [have long-term success] by over-spending on a couple of free agents that will only last you a moment in that longer range outlook,” Johnson said after the season. Yes, the Jets should be active in free agency with myriad cap space at their disposal, but they should make smart, pragmatic moves that makes sense from a football standpoint. Ticket sales should not enter into the equation. 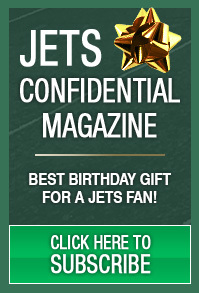 *****The new issue of Jets Confidential Magazine is out. You can grab a copy on news stands, or call 1-800-932-4557 (M-F, 9-5), or click below, to subscribe to his monthly must-read for Jets fans.